Just months ago I was still taking my antidepressant and anxiety medication – just as I had done every morning before leaving the house for the past year and half. As I swallowed it down each morning I had started to wonder, had it become a habit, or even a crutch in my life, rather than a necessity for a serious depression? As terrifying as it was, I decided that taking the medication had become a crutch in my life, and that I wanted to stop completely. Some people need a mood-deregulator or a SSRI (Selective Serotonin Reuptake Inhibitor) for chemical reasons, although this wasn’t the case for me. I needed the antidepressant for environmental reasons, as a result of the situation I was in. Despite the fact that things had changed since starting my medication (I was in a “happy place!” I was close to family, friends, had a great job, and doing my yoga teacher training), I still felt that I needed the security of the meds. However, while I was feeling mentally good, the side effects on my body weren’t great. Physically I felt terrible every day. In just few months I gained 23 pounds, and stopped running and working out completely. To make things worse, I developed some horrible digestive issues, which I later found out were related to milk intolerance and other food sensitivities. I finally got some confidence, and after speaking to my physician, decided to go off my meds. 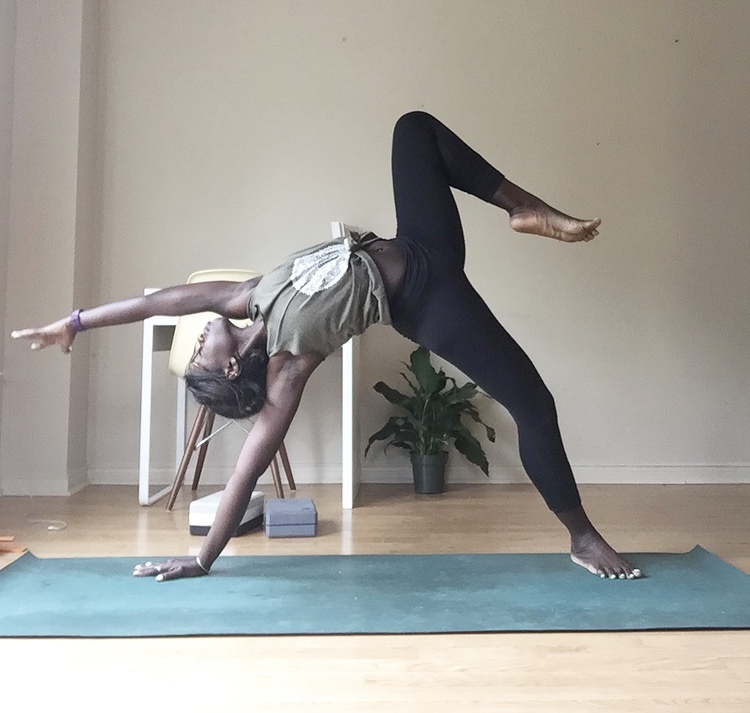 It was time – I had finished my teacher training and was teaching yoga, I had submitted and scheduled a time for my thesis defence, and submitted my last paper. I felt in control of the big things in my life that had seemed out of my control for a while now. This seemed like a logical transition to another stage in my life – living without the crutches called “antidepressants”. Whether it is 30 minutes or 3 hours, I always find a time to exercise. Research has found that regular exercise, and the increase in physical fitness alters serotonin levels in the brain and leads to improved mood and feelings of wellbeing. Also, several studies have shown that exercise promotes mental health and reduces symptoms of depression. The ant-depressant effect of regular physical exercise is comparable to potent anti-depressants like Sertraline. 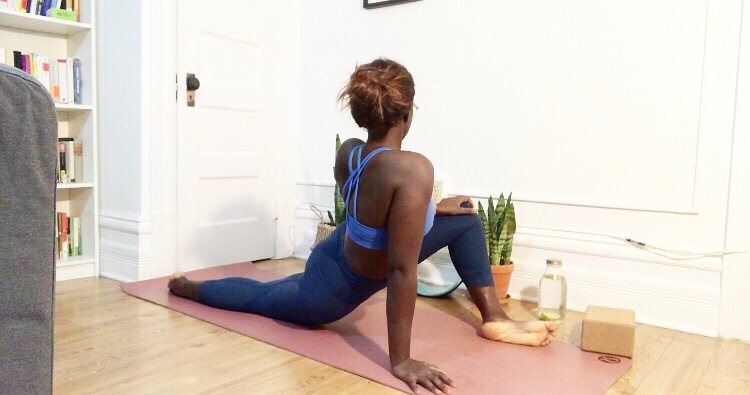 Doing yoga every day – My lunch hour, evening (if not at the gym) and weekends are spent at the yoga studio. I do yoga everyday during my lunch hour and weekends. Yoga is not only a physical exercise, but it can be a relaxing and healing process. Practicing yoga can also alter your brain chemistry – some position are effective in stimulating the release of endorphins and reduces the level of stress hormone cortisol. A number of studies have been done and support this use of yoga for depression, and specific yoga postures that increase levels of the neurotransmitter GABA, which may alleviate depression. Taking supplements that are known to help with mild to moderate depression. For example, S-adenosylmethionine (SAMe). SAMe is a synthetic form of an amino acid that occurs naturally in the body. It plays a role in many biological reactions by transferring its methyl group to DNA, proteins, phospholipids and biogenic amines. Several scientific studies indicate that SAMe may be useful in the treatment of depression. Another one is 5-Hydroxytryptophan (5-HTP) and tryptophan, both are natural alternative to antidepressants. When the body sets about manufacturing serotonin, it first makes 5-HTP. Taking 5-HTP as a supplement may raise serotonin levels. The evidence suggests 5-HTP and tryptophan are better than a placebo at alleviating depression. Full disclaimer, despite doing all of these things, and constantly keep myself busy, I still have my days – there are days where i feel completely hopeless, helpless , anxious, sad, and have terrible mood shift. So for now I’ve decided to take each day as it comes, and accept that not every day will be perfect. But most importantly, reminding myself that I am doing the best that I can and to be gentle with myself.